5) reducing HIV infections among children. The National AIDS Centre implements a wide range of tasks related to international cooperation by actively participating in several international projects. The experience and international practices are translated into introducing world standards in prevention, diagnostics and therapy of people infected in the Republic of Poland. 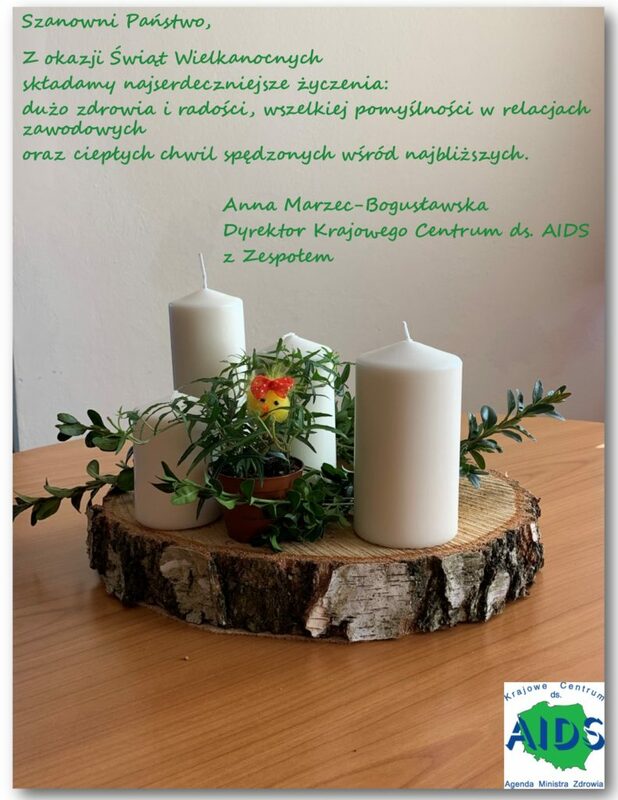 The policy of the Republic of Poland on combating the HIV/AIDS epidemic has been defined in the National Programme for Preventing HIV Infections and Combating AIDS. Many years of experience, knowledge in the field of HIV/AIDS, predictions of the spread of the epidemic in our region as well as international policy justify the legislative initiatives and activities undertaken within the National Programme for Preventing HIV Infections and Combating AIDS. Developing and implementing the Programme create the basis for partnership in implementing public health programmes in the national and international arena. The following editions of the Programme were implemented in 1996-1998, 1999-2003, 2004-2006, 2007-2011, 2012-2016. Currently, the legal basis for these activities is constituted by the Regulation by the Council of Ministers on 15 February 2011 on the National Programme for Preventing HIV Infections and Combating AIDS. The Schedule, set out for a period of five years, will determine: the type of task, target group, entities responsible for their implementation, indicators of task implementation and the year of implementation. The present Schedule for implementing the National Programme for Preventing HIV Infections and Combating AIDS has been developed for 2017-2021. Representatives of public administrative offices, medical fields and non-governmental organizations participated in developing the Schedule.